Find the Telangana ECET Eligibility on our page. ECET exam is a great opportunity for eligible candidates to enter into professional courses like B.Tech, B.E, and B.Pharm. JNTU Hyderabad released the ECET 2019 Notification to fill vacancies in government and privates colleges of Telangana state. ECET is one of the Common Entrance Tests to fill the Lateral entry seats in various colleges of Telangana and Andhra Pradesh state. So, the Interested diploma and degree holders can apply for TS ECET Exam 2019 on or before the last date. The Eligibility criteria play the most crucial role of TS ECET exam. For a candidate to apply for Engineering Common Entrance Test, the first thing comes to mind is Telangana ECET eligibility. If you satisfy the eligibility criteria, then you can happily apply for ECET 2019 exam. The nationality, Age Limit, and educational qualification come under this eligibility criteria. The candidates who satisfy the below eligibility conditions can apply for TS ECET 2019 on or before the last date. You can find the detailed information about eligibility criteria for ECET 2019 exam on the official website. Bookmark this page for latest updates of TS ECET 2019. Jawarhalal Nehru Technological University, Hyderabad located in Kukatpally of Telangana state. The JNTU Hyderabad offers various undergraduate and postgraduate programs for many aspirants. JNTU Hyderabad conducts Telangana ECET exam 2019. Every year, the JNTUH will release the ECET Notification 2019 on behalf of Telangana state council of Higher Education (TSCHE). In the Notification, you can find the details of TS ECET eligibility, admission procedure, TS ECET Important dates of the exam clearly. ECET exam is to fill the vacancies for Lateral entries into the 2nd year of B.Tech, B.E, and B.Pharm courses in both universities and private colleges. The candidate who is applying for TS ECET should belong to the Indian Nationality. He/ She also belong to the state of Telangana. A 3-year Degree in B.Sc (Maths) from recognized university/ institution of Telangana or Andhra Pradesh. Candidates who are currently pursuing degree course can also eligible to apply for B.Tech, B.E, and B.Pharm courses. Aspirants should obtain a degree from a recognized institution with 45% marks (40% for reservation category). The candidate needs to satisfy the above education qualification of TS ECET 2019 exam. 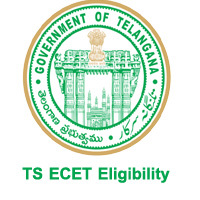 Aspirants who appeared and qualifies the Telangana ECET exam 2019 are eligible for admissions into B.E / B.Tech / B.Pharm courses. The willing candidate must have minimum 18 years of age to apply for TS ECET Exam 2019. For more details about the TS ECET age limit, visit the official website of Telangana ECET. I am (Rathi Aashish Kailash) From Maharashtra. I am interested to do admission in JNTU after completing my diploma from Maharashtra State board of technical education,So pleas tell mi that i am eligible for applying to entrance test (ECET) or not. My name kalyan,i am complete 9th to diplamo in ts ,but am studied 1st to 8th class in ap ,& adhar card ,ration card there in ap. I am which state to(ts&ap) apply for ecet 2017.so please tell me. Sir… I need my tank card… But login ID nd password ware asking. … I didn’t have any idea about it… How can i get my rank card sir…? What should I do sir..? Iam studying don’t course in cipet cherlapally Hyderabad is am eligible to apply for ecet and what are the courses offered. My name is Manikant Rachakonda and i am studying diploma from Maharashtra. Can I apply for tsecet. Sir I’ve completed my study from 1st to diploma in andhra Pradesh…. Now I am interested in studying in telangana.. So am I eligible? respected sir/madam I get 717 branch rank and 4234 integrated rank. I interested to studying in JNTU/OU.i eligible to get seat in these clgs. Sir, I completed diploma in c14 scheme in 2018. Is am eligible to write c16 scheme ecet in 2019? Sir ,im recently passed out in diploma c14 .Now i’m planning to write ecet entrance exam but now there is no c14 scheme in diploma .Shall i write in c14 or c16 scheme for ecet entrance exam….